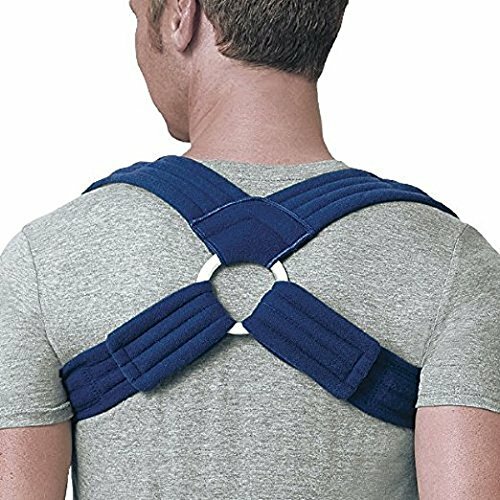 The Pro-Lite Deluxe Clavicle Support is made with a “backpack” style construction that pulls the shoulders back to align a clavicle fracture or to provide posture (postural) support. 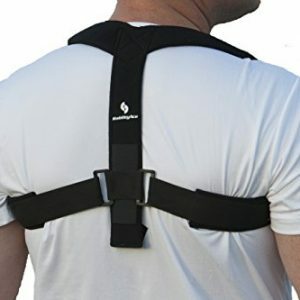 The posture corrector is extremely well made with strong straps and soft padding that is breathable providing superior comfort. 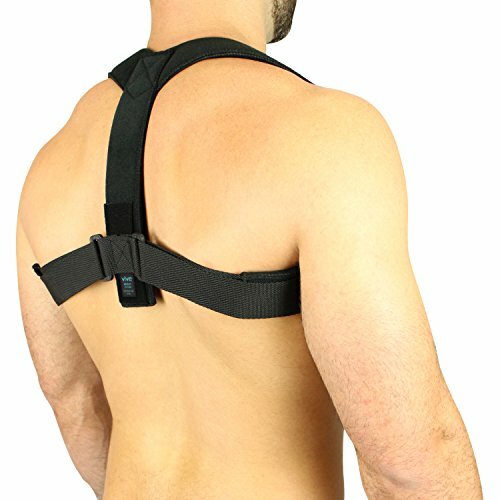 This FLA high-quality clavicle brace is built to last and ideal for sprains, shoulder instability, and fibromyalgia. Latex Free! 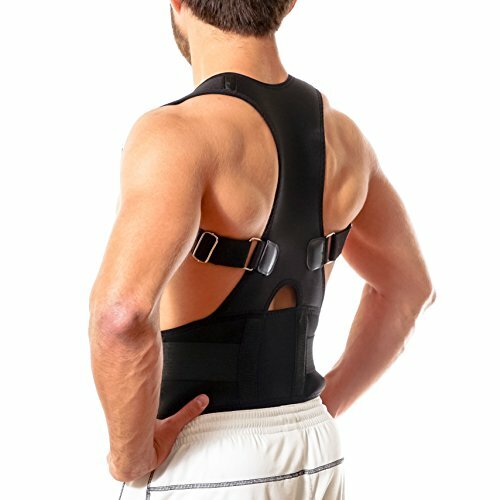 Available in five sizes. See size chart. Navy blue color. 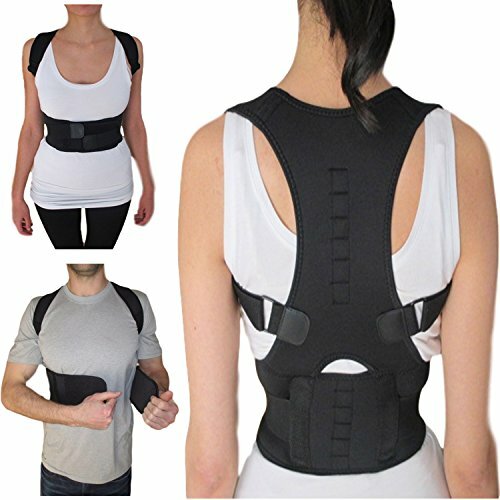 This product does not correct skeletal malformations. 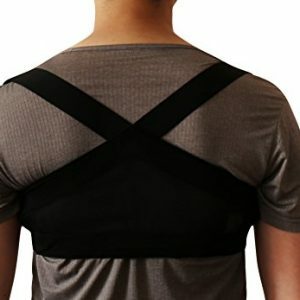 When used as a posture support, it pulls your shoulders back and applies gentle pressure in the middle of the back as a posture reminder. 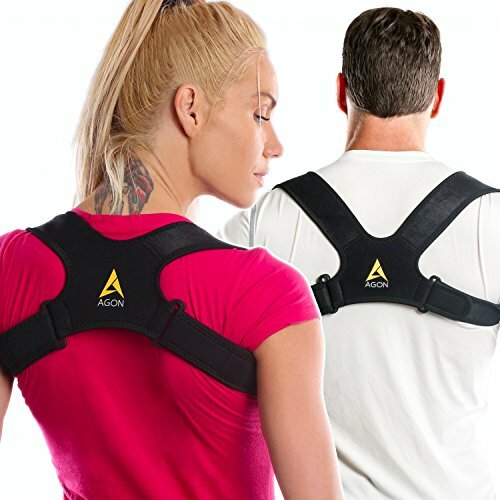 We suggest that you wear it loosely at first to acclimate your underarms to the pressure and tighten down each day. 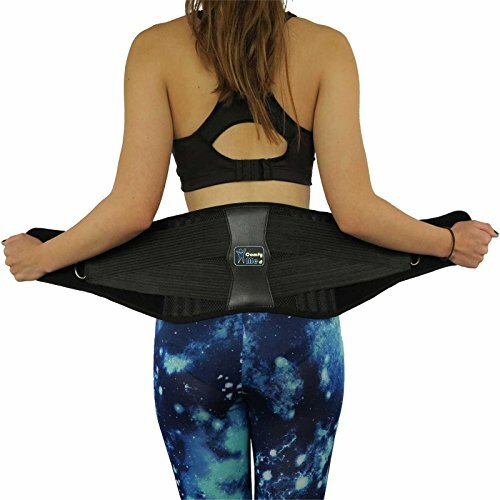 In order for this product to work properly, it must fit snugly. That being said, we find that they run on the small-side. 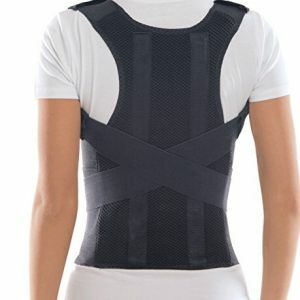 We suggest that you order one size up if you are at the top end of your size on the chart. 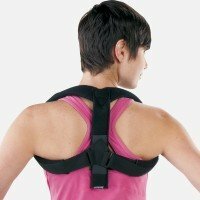 Pulls shoulders back to align clavicle and provide posture support. 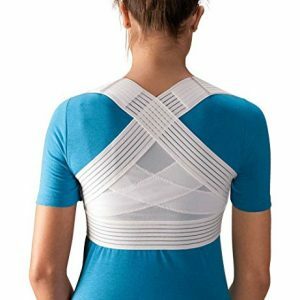 Extra-soft padding wicks moisture away for increased comfort. Easy on/off application with simple closures.